Users are the different logins that will have access to your Current RMS system. You can use Roles to determine what particular user accounts can access and do in your system. In Current RMS, a user account is a discrete login to your system with an email address and password. There’s no limit on the number of times one account can be signed in across devices or locations. This means that you may create accounts that are shared by different staff members or departments, if you like. Use roles to restrict what particular users can see or do in your system, e.g. prevent accounts from accessing reports. See a list of all of your users’ calendars and schedule activities for them. Get a full audit trail of a user’s actions in your system, e.g. see who deleted an opportunity. 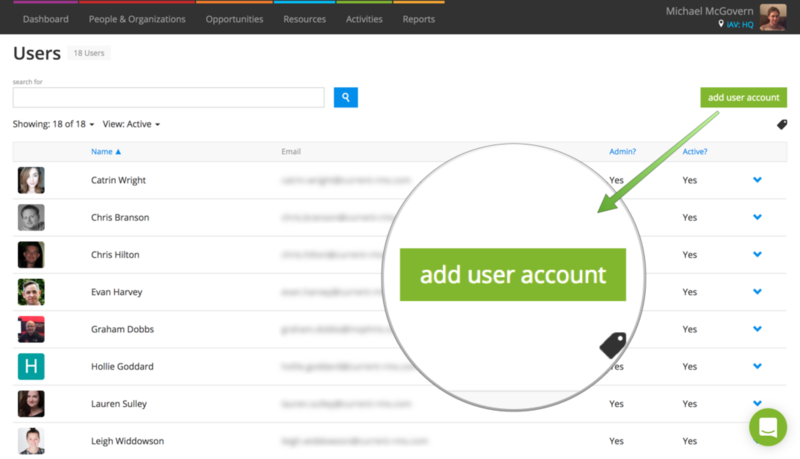 If you’re adding user accounts, we recommend thinking about your roles first. Roles determine what a user can and can’t do when using your Current RMS system. For example, you could set up the system so your office team can only see your People & Organizations, or your warehouse team can’t see financial information. Find Roles by going to System Setup > Roles and role membership.